FunGoPlay.com — Real Sports! Unreal Fun! Usually when we think of famous athletes, flashy superstars tend to come to mind. But there are legions of sports heroes you might never had heard about who made a huge impact in the sporting world. 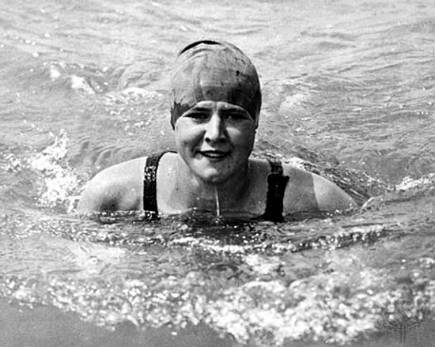 This week let’s visit Gertrude Ederle, the first woman to swim the English Channel. In 1926, things were a little different than they are now, and many people believed that girls were not as physically capable as boys. At the very young age of 19, Gertrude Ederle set out to do what most people never thought a woman could – swim the English Channel. 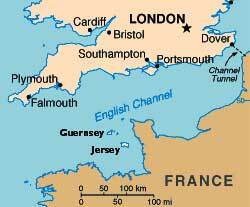 Remember that the English Channel is the space between England and France. Yeah, it’s huge. It took Gertrude only 14 hours and 39 minutes to do it, setting a record that would hold for the next 35 years. Oh yeah, forgot to mention that 2 years before this, she won a gold medal at the 1924 Summer Olympic games. That medal, combined with the extraordinary feat of swimming the English Channel made Gertrude Ederle a hero in the sporting world and a shining example for girls and women worldwide. Posted by fungoplay on September 2, 2011 in Sports.